You made it to church for the first time! You got yourself out of bed on Sunday morning, had the right set of directions, found a parking spot, and arrived not too late for the start of the service. You even enjoyed the service! Something off-putting happened. There was a mess in the bathroom. Someone told you you were sitting in “their” seat and asked you to move. A congregant glared at you and shushed your child during the service. Nobody talked to you during the social hour on the patio. Or worse, somebody did talk to you and said something you found offensive. If something happened on your visit that is off-putting enough that you are considering not returning, then let the minister know. We want to know. We won’t always be able to address it, and it may even be that thing that upset you is a good sign that the religious community you visited isn’t the right fit for you, but the minister can help you assess that. Congregational life is messy. I’ve written about the messiness of community before, and go ahead and read that post before you decide whether or not you want to return to a church where something weird/bad/disturbing happened to you. But even if you decide not to return, letting the minister know what happened is an enormous gift you can give. At the very least, perhaps some future good will come to the community from your bad experience. Don’t let your discomfort be in vain. The congregation has no way of knowing what happened to you if you don’t let someone know. What does everyone else think? Parishioners, what keeps you coming back to your religious community? Clergy, do you agree with me that you want to know when something weird happens to visitors? 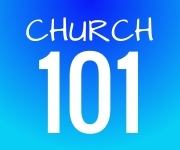 “Church 101” is an ongoing blog series to help orient new churchgoers to some of the intricacies of congregational life. If you have a topic you’d like to see addressed in the future, please post your question in the comments section. 3 Responses to "Church 101: Something Bad Happened On Our First Visit"
Yes, I would want to know. I prefer to receive messages from visitors. It helps me, and us, do our jobs better. Be candid. And please be kind. Wonderful! Lots of church shopping always in our area. If you find a better fit I am so glad for you. If something we did was a problem please let me, the minister, know.